AQUA VISTA- on the pool - 4 adult bikes. No hurricane damage. New for 2019 - Cafe poolside! 4 Bedrooms- 2 king beds, 3 queen beds. The 4th bedroom is on the ground level. It's a private apartment with private entry, full kitchen, full bath, queen bed in the bedroom and a full size sleeper sofa. The apartment private entry has a door thru the garage and also a back door onto the patio with a gas grill. Two king bedrooms are on the top floor with private full bathrooms. Two queen beds in the middle level bedroom. Our home is located at the front of the subdivision and has a double enclosed garage. We have a full size crib, a portable crib, a high chair, and a youth chair. There is also a walker, and a stroller. NOTE: Please bring your own linens for cribs. Enjoy relaxing on any of our three covered porches that overlooks the pool area. Enter the 'lagoon' style swimming pool thru our private gate located off the apartment porch. The pool is multi-level with two waterfalls, a fountain in the kiddie pool, 3 bathhouses, a pavillion with picnic tables a grassy play area plus shaded areas for little ones. Walk to the beach (approx 200 yds)on a beautiful palm tree lined paved access or ride in the free shuttle during spring or summer. Just call the shuttle service and the tram picks you up at the tram pick up area two houses away. Enjoy the 16 mile paved bicycle/jogging path that follows scenic hwy 30-A. There are 4 adult bicycles in the garage. If you need more bicycles or equipment there are several bicycle rental companies in the area. Most offer free delivery and pickup when you check out. Five minute walk to shops and many restaurants. Seacrest is located between Rosemary and Alys Beach. Seaside, Seagrove, Watercolor, Watersound is only minutes away by car. Camp Creek, Hombre, Bay Point are a few of the golf courses in the area. Silver Sands Outlet Mall and Baytowne Wharf, located in Sandestin is 25 miles West. Brand new 'Pier Park' in Panama City Beach is 10 miles East. Publix grocery, Winn Dixie and CVS Pharmacy 2 miles from the house. We have plenty of room at the house for extended family and friends to vacation with us. We purchased this home due to the location ON the gorgeous 12,000 sq ft multi level swimming pool and the short walk to shops, restaurants and the most beautiful beaches in the world!!!. My family enjoys being able to walk or ride bicycles to shopping and restaurants in our area. Another plus of the home itself is having two full kitchens and two separate living areas. Also we have a double enclosed garage. Wireless access info is posted on the refrigerators. (2) Two identical full kitchens. One on main level of the house and the other in the apartment. Dining area on main level has two tables, The main dining table seats 6, the second seats 4 plus 2 barstools. The apartment has a small bistro table that seats 2 with 2 additional bar stools. I try to keep at least 4 adult bicycles in my covered garage. Patio off the apartment back door faces the pool entrance through our private gate. How convenient! the apartment is on the ground level with no stairs. Bath is tub/shower combination. Apartment has it's own entry doors and is private from main house. 12,000 sq ft multi level swimming pool with fountain in kiddie pool, several bath houses around the pool Our house is poolside. Access to pool through our private gate. The location is fantastic, house had everything needed. It was as advertised. The close proximity to the pool was really great. Really liked all the kid friendly items included too. Our biggest complaint was the complete lack of cleanliness of the entire house. Yes, we could have called the cleaning service...but that up roots our family and is a big inconvenience. Besides, the expectation is the house is clean before we arrive. We have rented several beach houses over the years, this one clearly has not had a deep clean...in a really, really long time. Our feet were black within minutes (we did mop twice), there were clothing tags, baby nuk, old sock, dog food in one bed, thick dust on baseboards, splatters, sticky/chunky appliance handles, extra blankets clearly not washed...I could go on & on. At $250 for "cleaning service", it should be spotless. We would not stay again or recommend. There are so many options. If a guest does not bring issues to my attention or my cleaning people so it can be corrected there is little I can do after the fact. I wish you would have reached out to me in the first place. I enjoyed my stay at Aqua Vista. We found it on VRBO and LuAnne was very helpful in working with me and my insurance to let me stay here for an extended period while my house was getting fixed. Perfect size for our family of 5 for a temporary home. My kids enjoyed the large pool in the back, perfect for both my 6&7 year old as well as my 14-year-old. 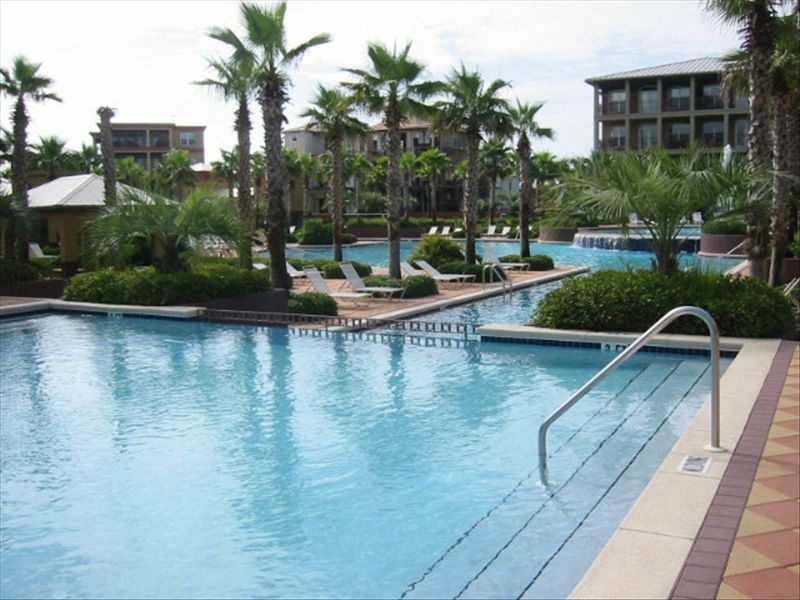 Location is perfect, not too far of a drive to Panama City Beach or Destin. If I ever move away from Panama City and wanted to come back for a vacation this would be the top choice for me. I was glad to help out while your home is being repaired. Thank you for your review of my property. Great house and a great location. Tons of room and provided amenities. We will stay again! We had a great time at Aqua Vista. The apartment in the bottom is great and it walks right out to the pool. It is also nice having a garage for added parking spaces. This is one of the best properties in Seacrest Beach. Great location and house was stocked with essentials and lots of handy non essentials!! Great, quiet house with lots of space... quick and easy walk to the beach... also very convenient when at the pool to go back and forth for snacks etc.. pool attendants were super friendly and kept it pleasant !! Loved biking and walking to shops for snacks and ice cream. ! I am so glad your family enjoyed your stay. Yes, hope to hear from you next year! Not sure we got what we paid for. The house is very nice and in a great location. We came with the idea that we could use all of the appliances and could not. The grill caught fire, the downstairs oven smoked and set off smoke alarm. (The other was dangling from the ceiling.) Downstairs toilet had mold on it. The repair man came for oven on Tuesday and said there were code violations concerning the ovens venting. The trash dumpsters were full from the week before because of yard waste that someone put in them. I had to remove the yard waste so they would pick up our trash. All in all we had a great week but I think for what we paid for the week stay. I'm sorry you were disappointed with your stay at my house. Unfortunately grease fire flare ups happen in gas grills occasionally due to grease that falls into the grate below. As far as the oven smoking and the smoke alarm was set off, it was doing what it was supposed to do. I have been renting my home since 2003 and never had a complaint about my ovens. Perhaps it was a cleaning issue? I post on my rental agreement to contact my cleaning service if there are issues with cleaning. If you did not call them I won't be able to help you from Georgia. Also, there was a tropical storm in our area before you arrived so the previous renters were kind enough to clean up the yard before they left. They thought they were doing the right thing by placing the yard trash into our outside trash cans. 16 mile paved jog/bike path along scenic Hwy 30-A, Rosemary Beach and Alys Beach shops and restaurants only a block away. . Our subdivision also has a walking path on the outside perimeter of the subdivision and sidewalks throughout. There is additional$100 Pet Fee for an approved NON-shedding dog. Must be on flea control and current rabies 100% refund, minus $100 for a cancellation 60 days in advance. 50% refund for cancellation 14 days before the start of your reservation.